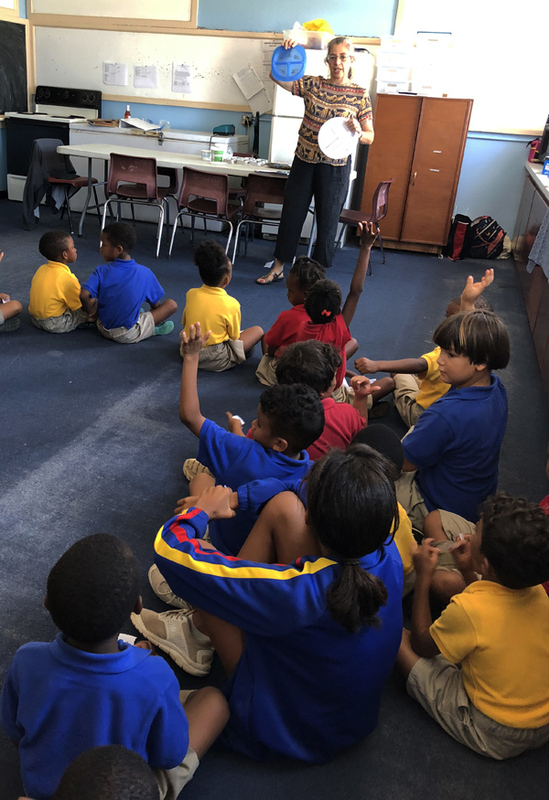 BF&M Limited, along with Bermuda Education Network [BEN] and Purvis Primary held the first edition of the school’s Wellness Day programme last week. The Wellness Day programme was developed in partnership with BEN, BF&M and Purvis Primary School and it focuses on increasing the students’, families’ and teachers’ awareness of living a better life, even if just for one day, by drawing a focus on healthier lifestyle choices. The Wellness Day program included physical activities as well as opportunities for the children to push past their fears by trying healthy and exotic foods. 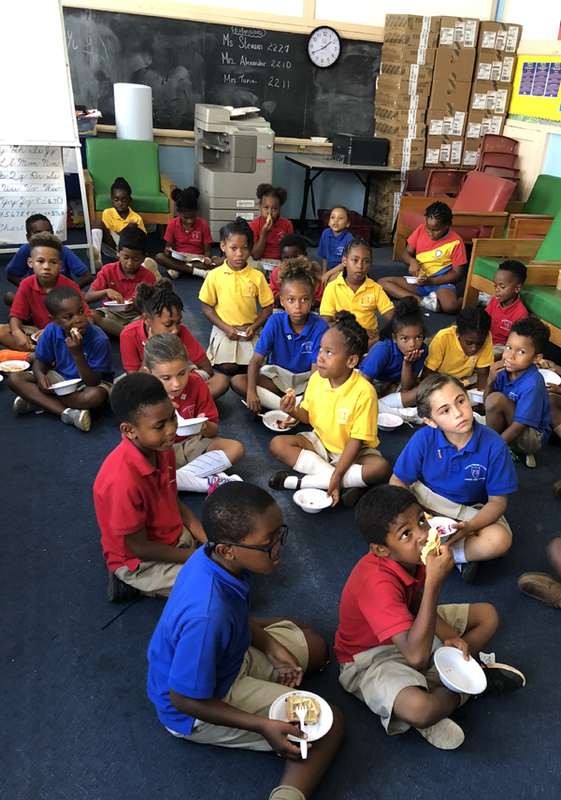 Students were given presentations on proper nutrition and healthy eating habits by Nutritionist Cymone Hollis, from the Health Department, and Nutritionist Virginia DeSilva, from BF&M. Throughout the week before the event, the students researched and developed educational displays that provided information to participants on deciphering food labels and how to rethink your drink—a display to encourage choosing water over sugary drinks. The program encouraged cross-curricular learning, as many of the activities incorporated math. Tracy Astwood from BEN stated, “According to the World Health Organization [WHO], the number one health problem in the world is, surprisingly, not a virus or a disease but depression – an affliction, which is linked to sleeplessness, stress and obesity. “The Wellness Day program connected well with the goals and objectives of our Horizons program, which provides opportunities for students and their families to get outside and be physical and to understand the importance of making healthy lifestyle choices. BEN is a registered charity that provides support to public schools, providing individualized support and training to teachers and creating supplemental positive experiences for students. In 2017, BF&M committed $20,000 over two years to support the Horizon Program at Purvis. BF&M and BEN have been working closely with Purvis to provide extended support for the students and teachers.